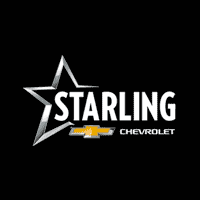 Thank you for making your way to Starling Chevrolet of Deland, your certified Chevrolet and Cadillac dealer serving drivers throughout DeLand and the surrounding areas. The Starling family has been in the retail automotive industry in Central Florida since 1948. Prior to becoming the Chevrolet dealer in Kissimmee, FL, Carroll Starling worked for Commercial Credit in Orlando, FL financing cars for local dealers and their retail customers. In addition to his duties as the Chevrolet dealer in Kissimmee FL, Carroll also served as a City Commissioner in Kissimmee for over 12 years and was involved in the early years of the Walt Disney World project that transformed Central Florida and the state of Florida. His son Alan, became the dealer in 1975 at the age of 26 after returning from military service. Both the businesses and the surrounding communities grew exponentially throughout the 70’s and 80’s, with the population of Central Florida surpassing one million residents. Alan continued in his fathers footsteps of community involvement and was appointed by the Governor of Florida to sit on the Greater Orlando Aviation Authority on two different occasions, and also headed the Economic Development Council in the years prior to his role as the Florida Director for the National Automobile Dealers Association, which culminated in his election as the Chairman of NADA in 2003. Three of Alan’s sons, Jack, Walker, and Andrew represent the third generation of Starling dealers in Central Florida and each work in and run Starling Chevrolet of Deland, Starling Chevrolet in Orlando, and Starling Chevrolet Buick GMC in St. Cloud.